What Is 3 Years' Lock-in of ELSS Mutual Funds? How Does it Work? Read the blog to know all about 3 years lock-in period of ELSS mutual funds in this tax-saving season. Tax saving mutual funds or Equity Linked Savings Schemes are the most preferred tax saving options to save tax for several individuals. They come with a mandatory lock-in period of three years. And, there is no restriction on the amount an individual can invest in it, where the investment up to Rs 1.5 lakhs in a financial year is exempt under Section 80C of the Income Tax Act of India, 1961. Today, we will cover all about a critical aspect ofELSS funds which we feel a lot of investors need clarity on, i.e., the lock-in period of ELSS. Without any delay, let’s begin! What Is Lock-in Period in ELSS? Every investment avenue permitted under Section 80C of the Income Tax Act, 1961 comes with a mandatory lock-in period where Equity Linked Savings Scheme or ELSS has the lowest lock-in of three years. People often ask us, “when will my investment actually become open for withdrawal?.” To explain this, one must understand that the lock-in of ELSS applies to the units that are purchased by an individual at the time of investment in a tax saving mutual fund. If the investment is made via SIP, then the units you purchased on the first month can be made available for withdrawal as they complete the three years cycle irrespective of its price at that time. How Does ELSS Lock-in Period Functions in Case of Lumpsum? Let’s understand the working of ELSS in case of lump sum investment through an example. Considering the invested amount to be Rs 50,000 in tax saving funds in 2017. Suppose the scheme you are investing in has NAV of Rs 50 per unit. So, this way if you invested on 1st December 2017, you would have accumulated 1000 units that day. As the investment is made in an ELSS fund, your 1000 units are locked-in for three years. You can redeem them on 1st December 2020 and any date after that. How Does 3 Yrs ELSS Lock-in Work in Case of SIP? Being a prudent investor, you might take a wise decision of investing via SIP mode to seek the benefit of compounding and rupee cost averaging. In this case, let’s assume that you’re willing to invest the same amount of Rs 50,000 in an ELSS scheme but now it will be in 10 installments of Rs 2500 each. Assuming you initiated investment from 10 March 2017. So, the first installment would have been of Rs 2500 deducted on March 10, 2017, similarly the second would be on April 10, 2017, and so on till December 10, 2017. On the first month of investment, let’s say the NAV for the scheme was Rs 10, so you accumulated 500 units. Likewise, the NAV is the other months would have fluctuated a little. So, at the end of the year, you got 5000 units with an average of 500 per month. These units will become available for withdrawal when each installment completes its 3 years’ period. As in the case of SIP, every installment is treated as a separate investment. This states that on April 10, 2020, only your first 500 units become available for withdrawal. The remaining 4500 units are still not eligible for redemption as they have not completed 3 years. This way, on December 10, 2020, all the units will be made available for withdrawal. This doesn’t mean that you should withdraw your investment just after 3 years. To seek the most benefit from ELSS investment, you must remain invested for around 7 years. Should You Redeem Investments from ELSS After Completion of the Lock-in Period? Investing in any other category of mutual funds by redeeming from ELSS just after completion of the lock-in period is never recommended by experts, and this might not even help the investor to fetch better returns. Redemption should be made only if you find that the ELSS fund you are holding is not performing as per your expectation. Another reason for redemption which is commonly seen in people is when they are close to the end of March and are short of liquidity. The fund is not performing well. The investor has a cash crunch. Let’s discuss each point briefly ahead. What Should Be Done When ELSS Lock-in Period Ends? ELSS should not be mistaken for just a tax saving instrument, it is indeed much more than that. It is an equity MF which has an objective to generate consistent long-term returns by investing majorly in equity shares. It is just another equity-oriented mutual fund with a three-year lock-in. After going through several past records and analysis, we have come to believe that it is a good choice to continue being invested in an ELSS fund beyond the lock-in. Here are the other options you have when the 3 years lock-in period of ELSS fund ends. Many investors withdraw the ELSS investment right after completion of 3 years lock-in and sometimes they use the same amount to invest in fresh ELSS to claim a tax benefit for that particular year. This is not a wise strategy as your capital will not grow and the achievement of future financial goals can be jeopardized. Also, there is a possibility that after the expiry of 3 years, the returns may be sub-par. Ideal investment tenure for ELSS mutual funds is about 5 years. The investor should review the performance of the fund they have invested in and if the scheme has underperformed than the benchmark, then the investment amount may be shifted to any other open-ended equity scheme for better returns in future. ELSS funds invest like a multi-cap fund as they do not have a fixed set composition. In most cases, they invest across the market capitalization with a tilt towards large cap stocks. One must analyze and compare the past 5-10 years’ returns given by ELSS fund with the other pure large-cap funds on a risk-adjusted return basis. If your scheme is delivering higher return with relatively lower volatility, then carry on with your ELSS investment and treat it as a multi-cap fund. Normally people should not leave just because the 3-year lock-in period is over. But if the need for money arises than you can go for redeeming once the lock-in period gets over. Around, 20-30% exits do happen when the lock-in gets over but that too not in one go. Also remember, you don’t need to redeem the entire amount either. You can redeem a small portion of the total investment also. ELSS investments should be en-cashed only when an important financial goal has arrived or there is a medical or another financial emergency in the family. Investors should keep in mind that after the initial lock-in period of 3 years, their ELSS investment becomes open-ended and investors can withdraw it in a lump sum or in parts. There is no exit load as well as there is no incidence of the tax. Equity Linked Savings Schemes or ELSS offers an excellent path to grow your money with time and save tax alongside. 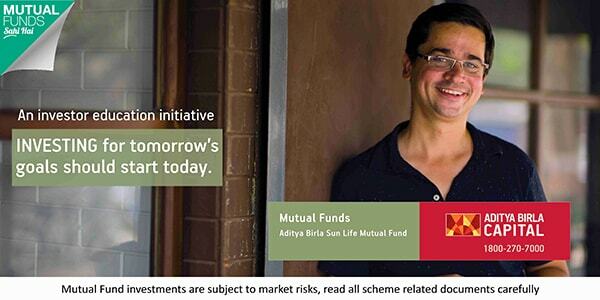 Like any other equity mutual funds, the best mode to invest in an ELSS fund is via SIP. You can plan ahead and spread your investments, thus reducing the risk of entering the market at a wrong time. Also remember that the primary purpose of your investment in an ELSS scheme should be to create a long term capital, where the tax saving in a year of investment should be an incidental benefit or secondary objective which one should enjoy.